from all over the world for FREE! Sign up and connect with incredible brands and content creators from all over the world for FREE! Launch a hyper-targeted campaign to ensure the greatest ROI within minutes! Log in to get started! Earn money and win prizes! Collaborate with brands and get your hustle on now! Post a product you wish to have promoted and have influencers apply to Free, Paid, or Pay Per Click collaborations. You’ll be provided all the analytics you need to execute your strategies. Have your product featured before thousands of influencers who eagerly await the opportunity to engage in hopes of winning it! Need Help Getting Started? Just Holler! Our in-house team of specialists will help brands craft their first campaign for FREE. Browse through brands and influencers without restrictions; connect, strategize, and join forces without pesky barriers. Gauge alignment, engagement rates, audience reach and interests to analyze the impact a partnership might bring. Find vetted partners with a smart and intuitive browsing system that learns and surfaces ideal collaborators. No need to match first; message anyone on the platform directly and at will. Remember: The best partnerships stem from clear and open communication. Handle negotiations and get everything going in one sleek, easy-to-use tool. Take the worry out of transactions; send and receive payments safely and effortlessly with Stripe integration. 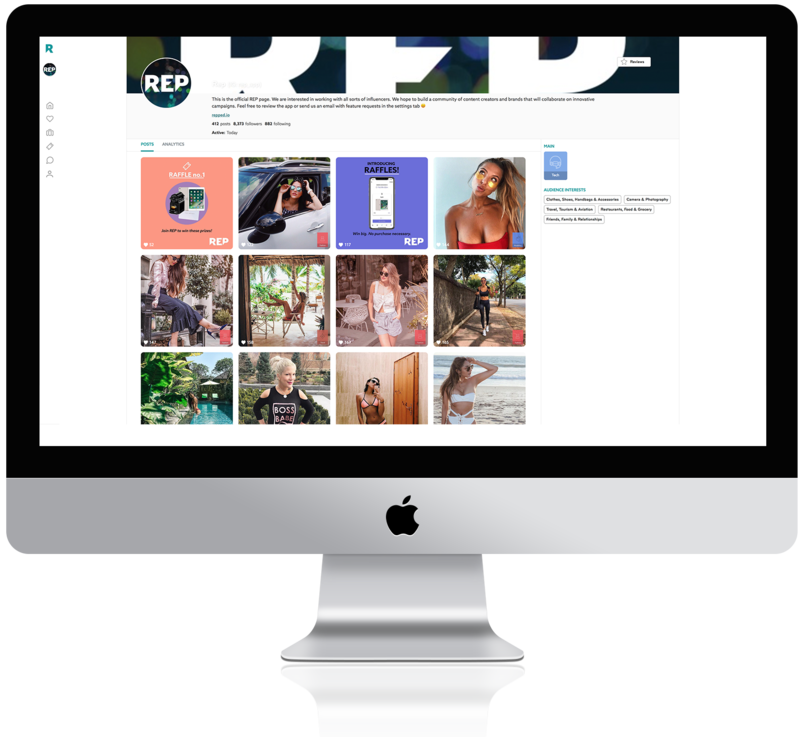 Please contact us at support@repped.io for any inquiries.